For all the Americans out there, food-heavy holiday Thanksgiving hits tomorrow. To commemorate the occasion (and perhaps rat out the newbie cooks in the country), Google’s released a chart showing which states’ residents are searching for Thanksgiving recipe videos on YouTube. The charts break down search traffic by different food types, such as turkey, stuffing, apple pie, etc. Then it shows where each state falls in the search ranking for that particular food. The information is probably not indicative of anything in particular, but I did notice that one of the Dakotas was consistently in the top-five for almost all the foods, which tells me the people there are either cooking the best or worst Thanksgiving dinners in the entire country. 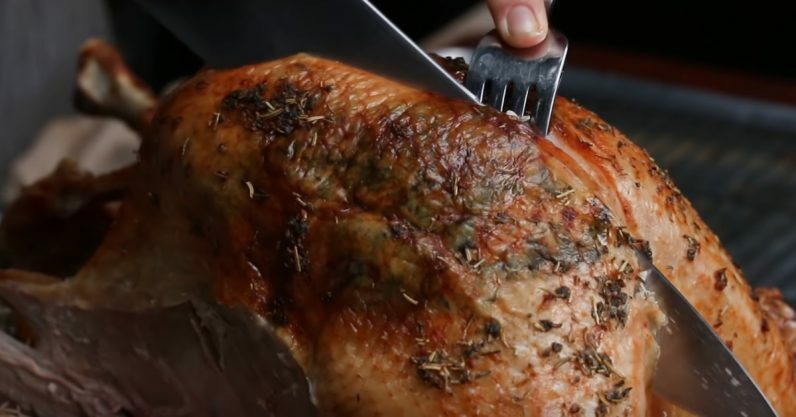 As Google notes, the search history for “how to carve a turkey” has increased by 60 percent in the last year, while watch times videos with “holiday” in the title have increased by 50 percent. The East Coast has the highest overall interest in Thanksgiving food, but the Midwest does the most searching for seasonal desserts. The company also dropped a few facts about its cooking library: apparently there are more than 4 million recipe videos on YouTube. Half of online shoppers said a video helped them decide which brands to buy (sounds like influencers live up to their name). It also showed the most popular videos generally in each category. Not surprisingly, the videos have titles like “Make the Best Thanksgiving Stuffing Ever” and “How to Cook Perfect Potatoes.” That said, there is the occasional oddity like “How to Make: Hot Cheetos Turkey! !” in the list. I was rather disappointed in my home state of Texas for only reaching #4 in the search history for pecan pie — it’s only our state pie, people. You come correct to a Texas Thanksgiving table or you don’t come at all. Read next: Does the new iPad Pro have a 'bendgate' problem?